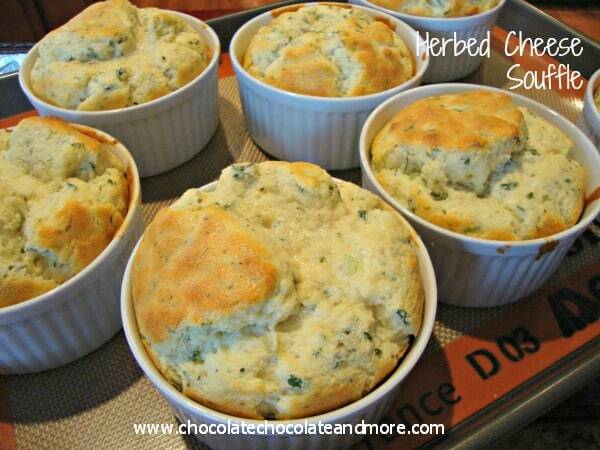 Herbed Cheese Souffle - Chocolate Chocolate and More! 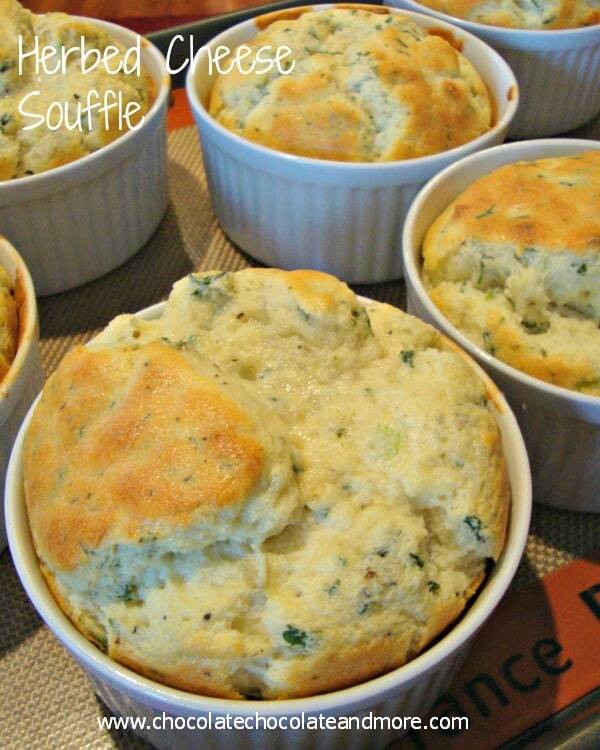 Herbed Cheese Souffles-so light and fluffy, so delicate. And you can make them ahead then bake just before ready to serve. I have to tell you this is a breakfast dish that you’re going to thank me for. It’ll impress your family and friends and it’s very little work. 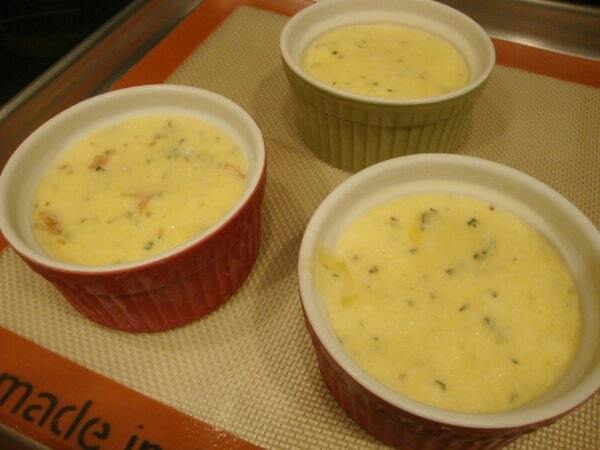 These Herbed Cheese Souffles are perfect for Breakfast, brunch or an afternoon luncheon with friends. My Aunt made this for us the first morning of our visit and we were blown away. Everyone comes down from bed, I seem to notice she put something in the oven and 45 minutes later, we’re sitting down eating this. No fooling around, cooking everything up. It was all done the day before then stuck in the freezer. And you don’t need to have ramekins to make this, you can make it in a coffee mug. This will make about 6-7 servings depending on size. Just pull out what you need and bake away. Oh, and you can even bake them up in the toaster over if you’re just doing one or two. Saute onions in butter until tender in medium sized saucepan or skillet, about 5 minutes. Stir in flour and salt, stirring constantly until mixture bubbles. Gradually stir in milk, Continue stirring until mixture thickens and starts to bubble. Remove from heat and stir in cheese, mustard and hot sauce. Add in Parsley, tarragon and marjoram. In small bowl beat egg yolks. Add eggs to hot cheese sauce, stirring constantly until well combined. In a large bowl beat egg whites till stiff. Fold in cheese mixture until no streaks remain. Spoon into prepared dishes, cover with plastic wrap and freeze. To bake-place frozen souffles on a cookie sheet, bake in a preheated 350 degree oven for 45 minutes or until puffed and golden. Cooking time will vary based on the size of your baking dish. My smaller ramekins and the coffee mug only took about 40 minutes to cook, the larger ramekins took 45 minutes. I don’t think I’ve ever even eaten a souffle, let alone made one. This looks amazing and so easy. Definitely going to try it! Lesa, I really loved this, and the great thing is that since you keep it in the freezer, just pull out what you need and bake! Oh my goodness…this looks FABULOUS! I’ve been meaning to try a cheese souffle recipe that my mother gave me, but I love that this one has the added flavors! And things I can make ahead of time make life SO much easier! Thanks Becky! You need to try both your mom’s recipe and this one. I’ll bet you can incorporate both recipes and come up with something terrific! This is really a great recipe for breakfast. I like the fact that you can make it the before. I will have to try this one. I love the fact that since you keep in the freezer until ready to bake you can pull out just what you need. I loved having the last one for breakfast on a day after everyone else was gone. Just a little special me treat! this looks so good! great photos! Melissa, this was my first time making a souffle. I’d always been afraid to try one. Was really easy, now I’ll be willing to try other recipes like this. This souffle sounds wonderful! Thanks for sharing the recipe and linking to TMTT. Thanks Lisa, I was surprised how easy it was to make! I Love These! They are just perfect! 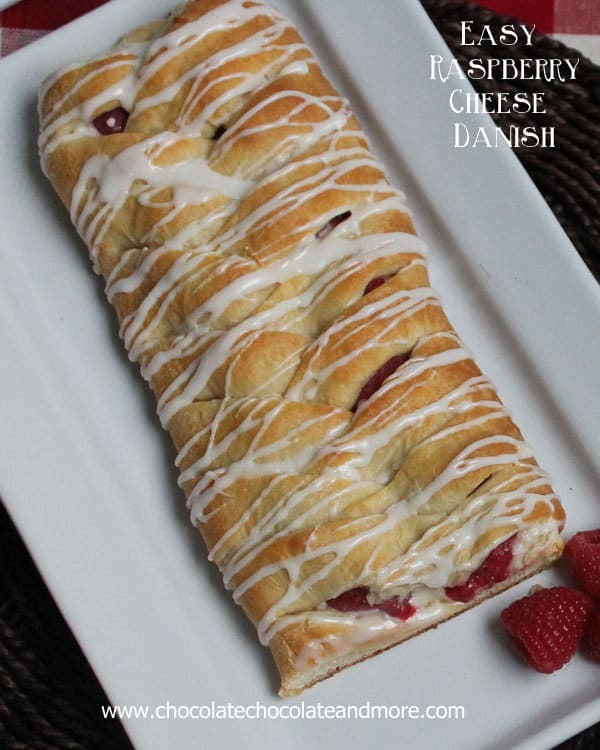 Delicious, easy to fix and can be made ahead of time. Who could ask for more? Well, I could…may I please have more, not much just share a half with me, won’t you love? Thank you for sharing on Thursday’s Treasures Week 32 http://www.recipesformyboys.com/2012/05/thursdays-treasures-week-32.html <3 and hugs! Debi, you’re too sweet, I really loved making these, and the fact that I can pull out 2 or 3 for those that want to eat one, or just one for me when everyone else is already gone for the day! You know I’d always share with you, anytime! Thanks Winnie, you should give it a try, I was surprised how easy a souffle is to make! Thanks for the feature Lisa! I’ve never made this before. But this looks so good. Bookmarked to try. Thanks for sharing. These look and sound delicious! I have a bit of a hit-and-miss record with souffle, but I’ll definitely be making these – I’m getting hungry just looking at them lol! I love that you can freeze them for baking later. So glad you found me, welcome! Hi Joan, your herbed cheese soufflé looks exceptional for breakfast, I’ll be trying this recipe soon! So there aren’t any issues with freezing the dishes then putting from frozen temps into the oven? The dishes won’t crack? As long as you are using oven safe ramekins, there is no issue with placing your soufles directly from the freezer to the oven. How long will they last in the freezer? I can’t wait to try this recipe!! You can leave these in the freezer for a few weeks. I use the expiration date on my egg carton as a guide and try not to leave them frozen for more than a week after that date. Did you use fresh or dried tarragon and marjoram? I used dried but either will work.